Until everyone mentioned the wearables, and Kickstarter we began to wonder. 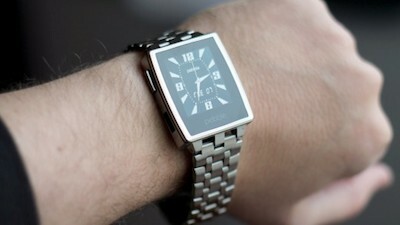 A small United States company sought funding to create a watch with an e-ink screen. His campaign was a success and the product also that, despite not being the best in all aspects, was that better met their function: be connected to the mobile and serve us notifications. Quite unexpected if we take into account that the company that gave birth to it isn’t exactly a titan. 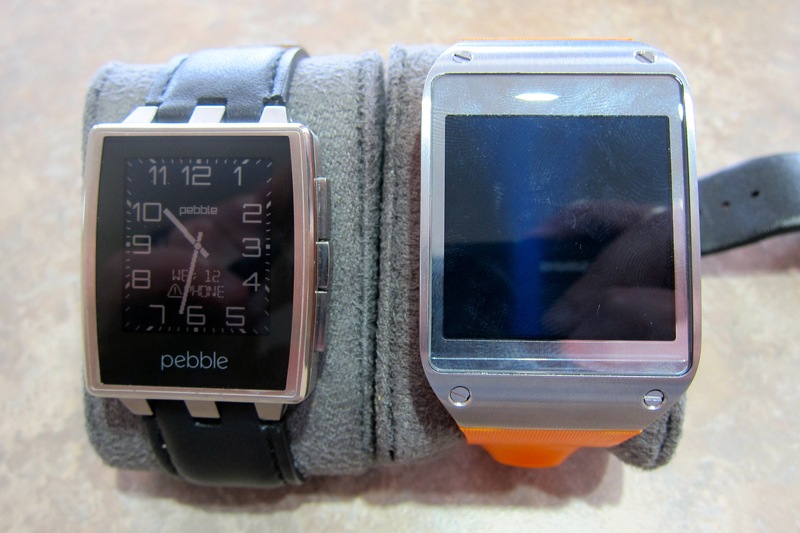 Time passed and while Pebble did not stop selling watches, they took advantage of the CES to announce a new version. Few changes on the inside, but many on the outside in a kind of transition to adulthood, or at least more mature. 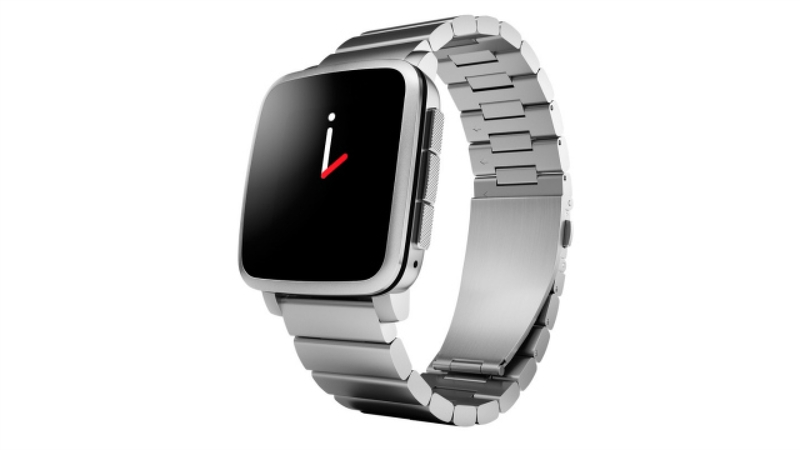 I admit, in Las Vegas fell in love with it and although he took a while to arrive already is on my wrist to bring us not only a website but the experience of being with a smartwatch, which in the end is what it is. Let’s be honest. 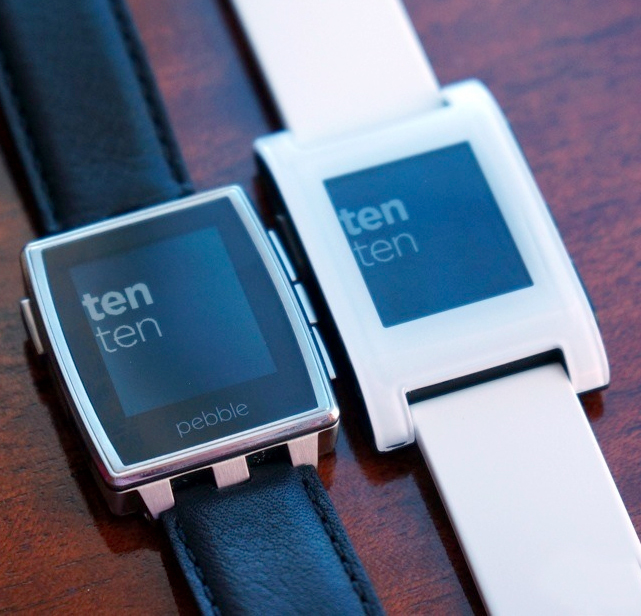 Pebble was no the prettiest smartwatch in the market. It is true that its finish “sport”, as a representative of the company in Las Vegas told me, there was no ugly but it gave the feeling of being a gadget with strap. I am not clear that this is what we want to wear on the wrist. I’ve always advocated that Some technologies should be inconspicuous to the user. I want to believe it or not a clock, not an invention out of a science fiction movie. 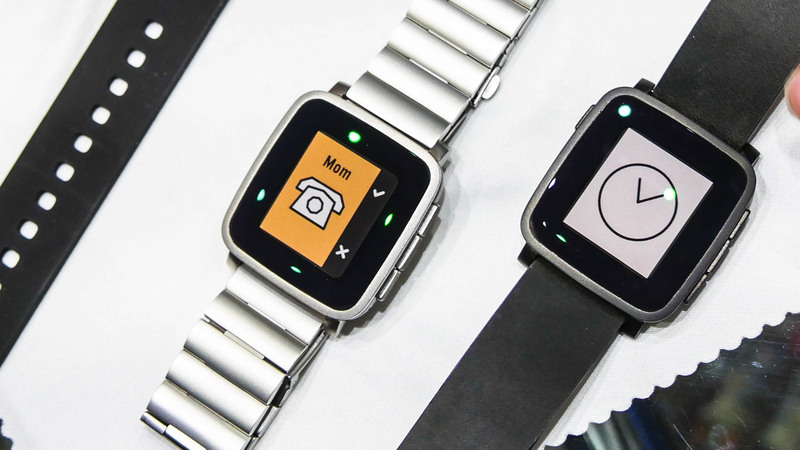 Here jump to Pebble Steel shows that the project has matured and is certainly not has that touch of design that have any luxury watch, on wrist looks spectacular. It is true that for taste colors but the effort they have made for a more serious touch is undeniable. Work that pass have been able to translate a little high priced for what it offers. The body of the watch is not especially large and the steel finish gives it a very robust. An adjective that gets bigger if you look at the construction of the buttons. They remain somewhat oversized, in comparison with a classical model, but their integration into the body is total. They are hard and very resistant. 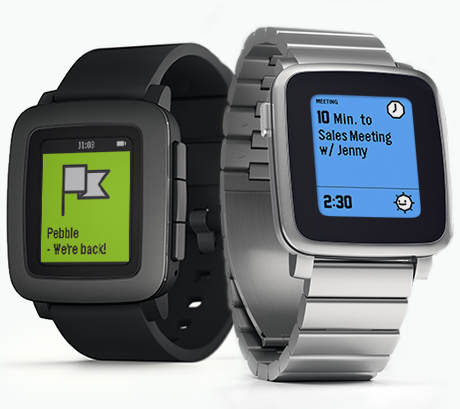 Of all the smartwatch that I’ve seen, and I’ve tried, so far I prefer no doubt Pebble design. Is the one who is closest to the traditional concept of watch and who better be mimics. Personally do not I end up convincing futuristic proposals from other manufacturers or those who remain stubborn what we want is a small electronic device attached to the wrist. Comfortable on the wrist, It is not heavy, Thanks to Pebble sold it with two belts: one leather and one steel to match the color of the model which we have taken. As with the previous generation, been respected the standard used by the rest of watches by what we can buy you a different belt and use it without any problem. Matter of taste again, but the two that come are nice and pleasant to the touch. If now try us to sell a smartphone of high range with a lower than the already classic TFT technology, IPS LCD or AMOLED would look them with a rare face. Why you don’t have the latest market? Because sometimes bet on what more pointer does not solve your problems, at least in other categories. It’s true that in the category of the smartwatch still manufacturers not been agreement and each bet to follow his own path: technology Mirasol in Qualcomm, a color screen with low consumption at Sony, a vibrating curved and touch AMOLED in Samsung… what makes Pebble? Go back, ask yourself what can work better and bet by an indisputable in e-books but it seems to generate doubts in other product categories: a LCD transreflectivo manufactured by Sharp. 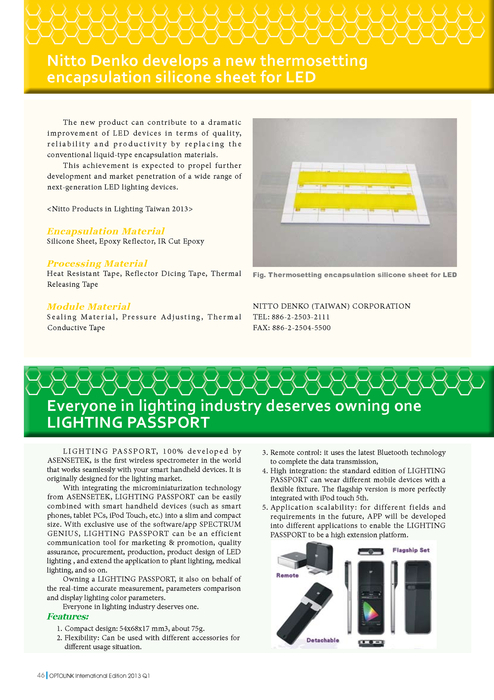 Also has a backlight system and offers a resolution of 144 x 168 pixels. It sounds little but right now is the best technology that is outdoors. Mirasol also makes it really well, I could try it at CES, but differences with watches that are betting on themselves more Smartphone panels do not see as well as soon as there is plenty of light in the environment. It is not touch, although it is not something that we miss. The four buttons are more than adequate to move fluently through all the menus and access to the clock. The response of the screen is very fast and are not noticed both jumps as happens in e-books when there is a full refresh. In low light the backlight system sale to look, never better said, and with a simple twist of the wrist, we’ll see how it turns on and shows us the time. When we are manipulating the clock, or when you press any button, the screen will also light for a short period. Short those 144 x 168 pixels are left? After a month of using it I still seem scarce although it is true that when the typography is rather large (sometimes the least to be readable without having to hit the eye doll) does have to make long scroll to view all content, especially with emails. 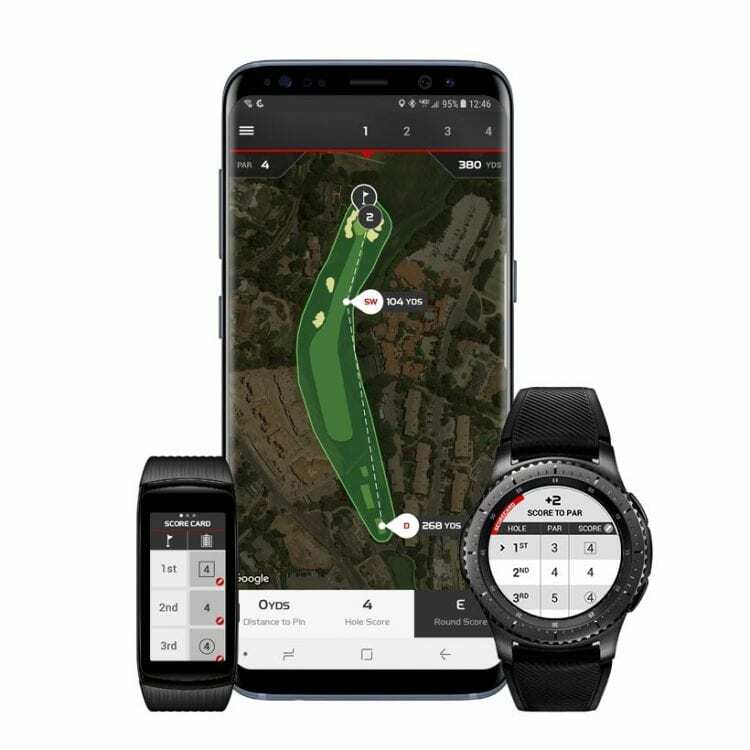 We are going with the mother of any wearable self-respecting win a hole, in this case, on our wrist: the software. 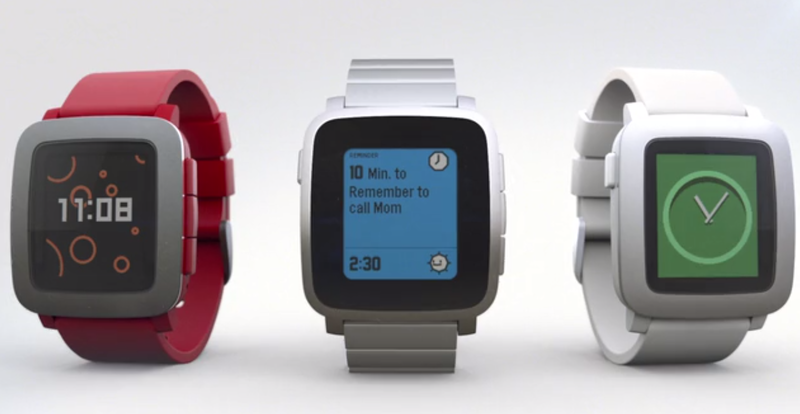 What does, what leaves do and Pebble projection for the future. These days, many people have asked me about the usefulness of the smartwatch. Is it? It depends for whom, in my case it has become a very useful accessory. Before getting into stuff I tell you my experience. You’re on the street walk because you have been with a colleague and every few minutes you start to vibrate the Pocket: notifications of all kinds. Emails, messages of Whatsapp, notices of social networks. When I started using smartphones I looked at whenever it sounded but now not always attend it at the moment except that detects the pattern of vibration that I have configured. With a smartwatch saving me having to be getting into and out of Pocket every few minutes. A quick glance at your wrist allows me to see if what I have just entering the mobile is important or not. It allows me to read an extract or sometimes even the whole message. Moreover, there are applications that enable me to launch the application and unlocks it when having it already open to serve you. There are moments in which I like to be connected, as for example the case which I have cited. When you’re walking down the street it is useful or also when you are meeting with more people and expect a warning or message. It is a more subtle form of attentive to the smartphone without disturbing others. I do not always have synchronized with bluetooth, synchronization works perfectly by the way, since there are times that this connection does not produce me no benefit. When I’m in front of the computer, and I have connection, all notifications I enter directly to the screen of the laptop with PushBullet. There are other times where I just want to rest, relax and not be aware of what I get. The battery lasts much? Media I have been charging the watch once every five days taking it about five or six hours a day pairing with the mobile. 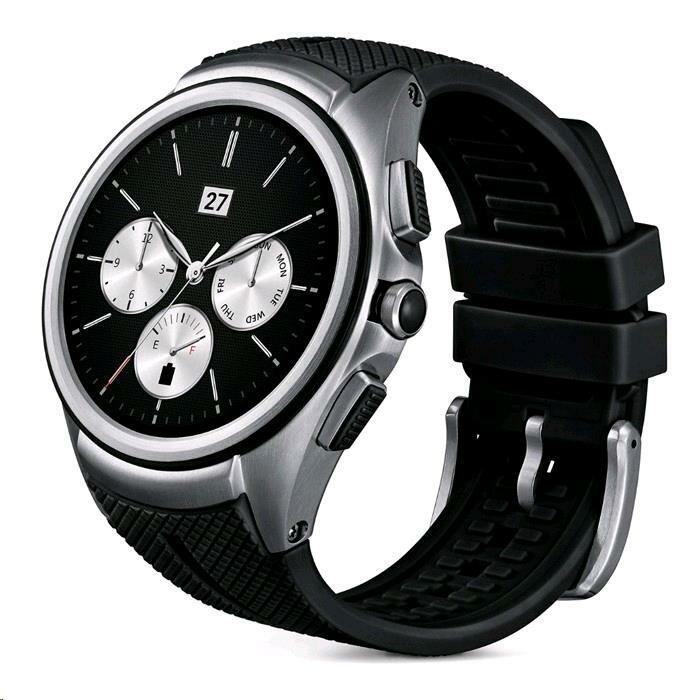 Without connect it via bluetooth, it is able to withstand a week without a problem but of course: we have not bought a smartwatch only to see what time is, no? Set the clock is simple and mobile sync and the application make the experience enjoyable from the start. 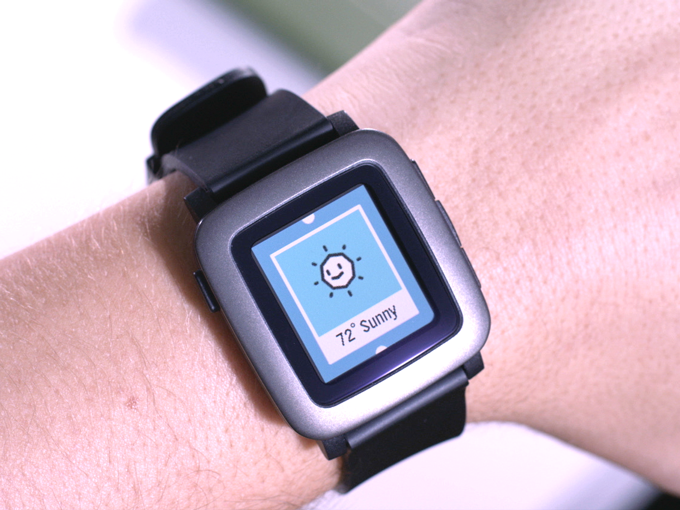 Pebble in addition updated the firmare with some frequency by which faults that arise are polished quickly. In fact the pairing, after the first configuration, simply boils down to activate bluetooth on both sides. The mobile application, which acts as a store, is responsible for managing the clock software updates and also to install and move the clock (watchfaces) covers and small apps that you can use. In total we have eight slots in which you can place elements of these two types. A space is somewhat limited, if we compare it with other models. It is interesting to go by default spaces, not MB. Pebble has a lot of different skins ranging from the classic Casio finest needles. There are lots of variety to choose, and quite moving, with the added possibility that we can make our own with an editor for mobile. Most are free although there are a few payment (less than euro each) are activated where features such as display the percentage of battery or if we paired via bluetooth or not. On the other hand we have applications as such. They are fairly simple and van connected to the mobile good to have internet access directly through an API (e.g. Foursquare or Evernote) while others require a further to that it must be installed on the smartphone. Something quite cumbersome since normally installation does not add much to the moving part, beyond any other configuration option. Are useful applications? It depends on how you want to use it. For example the control music applications as Spotify are, or Foursquare to make check-in fast. Other not so much, as Twitter clients: is not the best screen to read our timeline. In addition to that you can download, watch comes with two basic: control music (for the player by default from your mobile phone) and an alarm.